Soon after the riots shook the state polity with its wide ramifications, Chief Minister Devendra Fadnavis announced a probe by a Judicial Commission. Eight months after the January 1 caste riots in Bhima-Koregaon rocked Maharashtra’s politics, the first hearing by a judicial commission of enquiry will begin here in September, a top official said on Saturday. The hearings will be conducted before a two-member Judicial Commission comprising former Chief Justice of Bombay High Court and former Chief Justice of Calcutta High Court, Justice J.N. Patel, and Maharashtra former Chief Secretary Sumit Mullick, from September 5 to 7. “Among other things, the commission will enquire into the incident, its causes and consequences, whether the police and civil administration had made adequate arrangements on that day or not,” Special Public Prosecutor Shishir Hiray told IANS. The Commission will also examine the sequence of events resulting in the violence, the persons/organisations/groups responsible for it and the related security aspects during the gathering of over 200,000 Dalits at the venue. Soon after the riots shook the state polity with its wide ramifications, Chief Minister Devendra Fadnavis announced a probe by a Judicial Commission which was appointed on February 9 with a tenure of four months. 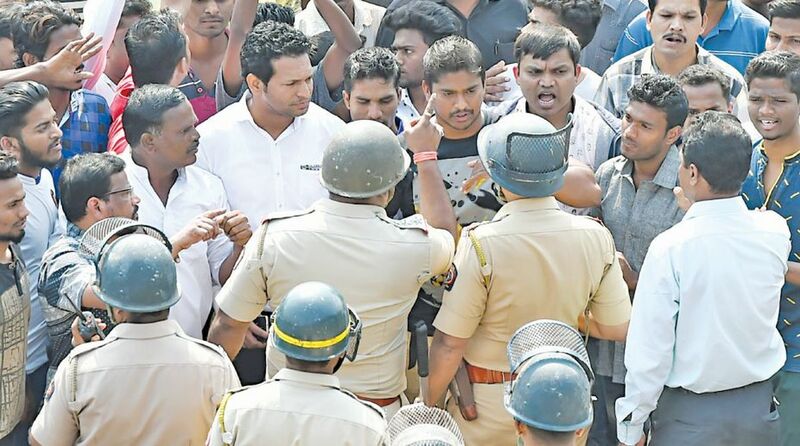 According to Hiray, the commission — the highest level ever appointed for any such probe in the country — has already visited the riots site in Pune district, taken pictures and videos, collected research material and other documents so far. “A total of around 500 witnesses are likely to be examined during the hearings, starting with around a dozen (witnesses) next month, besides examining the voluminous documents running into more than 10,000 pages filed before the Commission,” Hiray added. Around 500 affidavits have already been filed before the Commission including by the Pune Rural Police, members of the public, various organisations and NGOs, and even by one of the prime accused in the riots, Hindutva leader Milind Ekbote, head of the Hindu Ekta Samiti, arrested in March and currently on bail.